"Bonus" LLC operates in the domain of forging production since 1998. It is specialized in producing hammer and press forgings of structural carbon, low-alloy and alloyed steel for heavy machine-building, power engineering and vehicle production, metallurgy, mining and other branches of industry. The Company uses production facilities in the city of Dnipro, and it maintains warehouse with access ways and branch railway line allowing to perform carload deliveries. 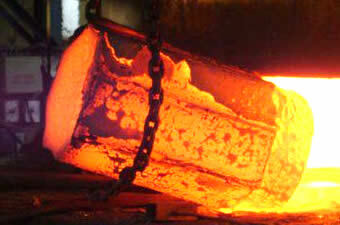 In the process of forgings' production, we use high-quality raw materials (ingots, slabs) supplied to us by leading metallurgical plants of Ukraine, which in turn allows to produce forgings in accord with GOSTs, approved by Quality Certificates. Over the years of operation, the Company has formed unique team of highly skilled experienced specialists, ensuring accuracy of orders' fulfilment, high quality of products, competitive prices (for regular customers, our Company implemented the individual approach in pricing system) and flexible terms of payment. All of this allows optimizing of cash flows of our customers' enterprises, for obtaining maximum profit. Thank You beforehand for Your attention to us. Looking forward to mutually beneficial long-term cooperation. You can contact us for consultations and bookings.